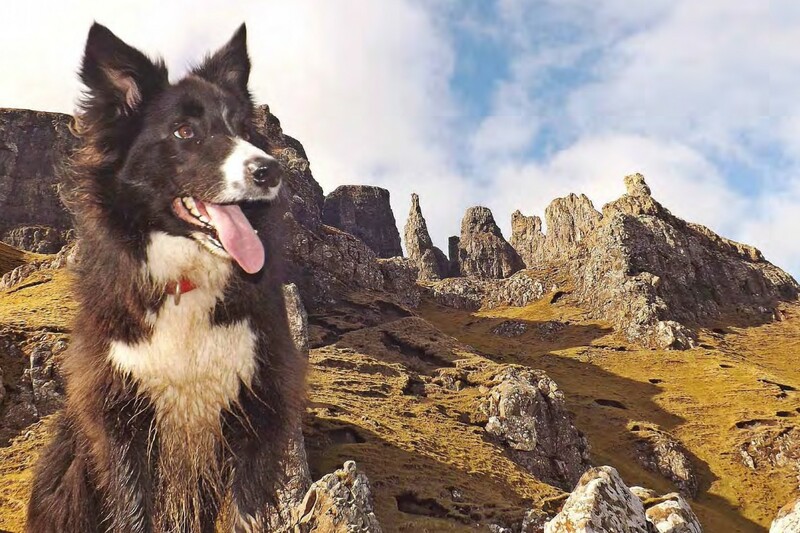 THIS MONTH, we’re back on Skye, and taking you on a magnificent walk that many people have no idea exists. It’s an easy enough straightforward stroll with only a wee river crossing and a bit o’ a scramble up a slope, but so, so worth it. We’re doing the Quiraing (pronounced much like the rock magazine, Kerrang). It’s believed the name originates from the Old Norse, Kvi Rand which means ‘Round Fold’ and it all becomes clear once you arrive at the destination of this walk. Set aside at least 3 hours for this walk, more if you really want to savour every moment of it.